Men Undressed is an exploration of the naked portrait. 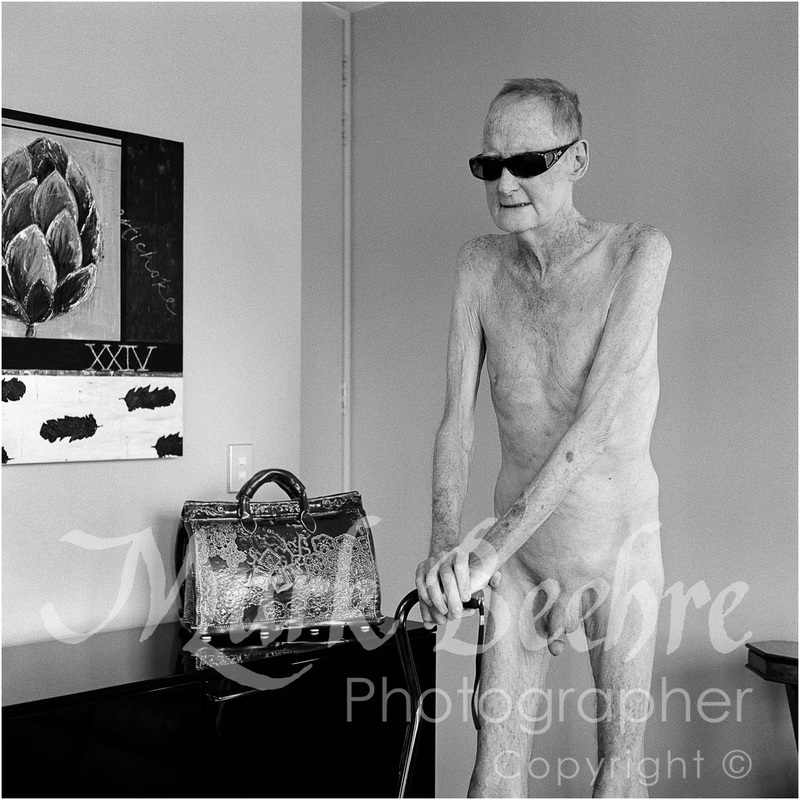 My subjects are of various ages and from different walks of life: my concern was not necessarily to capture the body beautiful, but to create a space where these men could stand naked before the camera, allowing themselves to be seen for who they are. And thus (paraphrasing Roland Barthes), as you, the viewer, stand with me behind the camera, the anonymous stranger suddenly becomes intimate. The sitter looking through the lens into our eyes, defiant and vulnerable at the same time, provides an open space for our imaginative entry into the frame: the subject made flesh—but never fully, and always mysterious.